Arsenal have confirmed a double injury boost with Aaron Ramsey and Mesut Ozil fully fit ahead of upcoming games with Qarabag and Southampton. 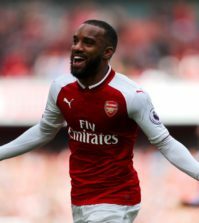 Ramsey missed the 1-0 victory over Huddersfield Town last weekend after picking up an ankle injury during our 2-2 draw with Manchester United at Old Trafford a week ago. However, the Welshman has made a swift recovery as he’s back in full training and available for selection. 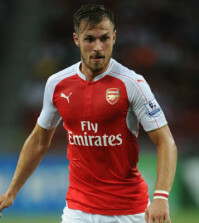 Ramsey isn’t expected to start against Qarabag but will be vying for a starting spot at St Mary’s on Sunday. 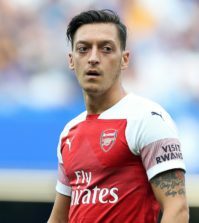 In a double boost, the club have also confirmed that Ozil is back in contention after recovering from a supposed back injury that’s kept him out for the last four matches. 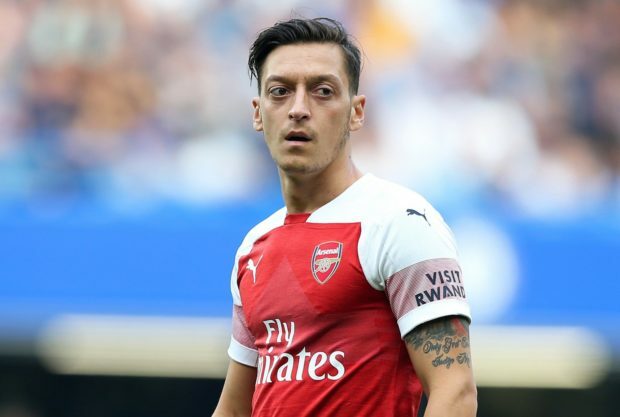 It’s been widely reported that Ozil’s back problem flared up again following a supposed bust-up with Emery after being told he was axed for the trip to Bournemouth last month so it will be interesting to see how he’s integrated back in to the side. Arsenal have also provided a brief update on Shkodran Mustafi after confirming he’s being assessed after being forced off with a hamstring problem against Huddersfield. Thankfully it doesn’t sound too serious so Mustafi should be available soon – although he’s suspended for the trip to Southampton. Elsewhere, Dinos Mavropanos is expected back in full training at some point this month as he looks to return from a groin injury but obviously Rob Holding and Danny Welbeck are out with long-term injuries and won’t feature again this season. Fit and has returned to full training following ankle injury. Fit and has returned to full training following back injury. Left knee – anterior cruciate ligament injury. Surgical repair will take place later this week. Hamstring. Being assessed ahead of Qarabag (h) on Thursday, December 13.